Daily Illuminator: Munchkin Collectible Card Game Release Event Locations! 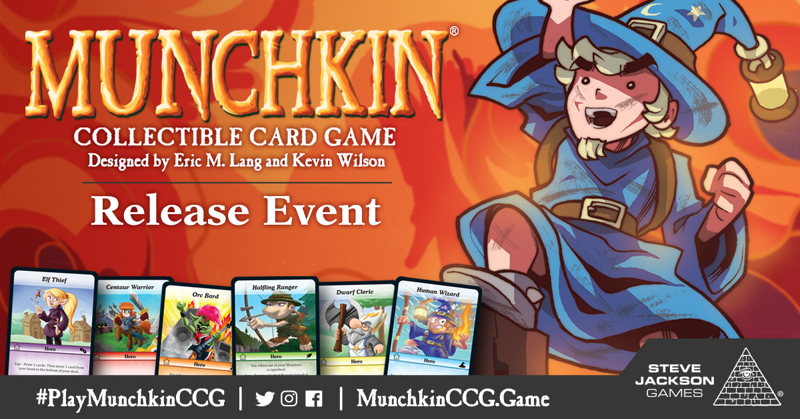 February 14, 2018: Munchkin Collectible Card Game Release Event Locations! That's right: The Munchkin Collectible Card Game is nearly on shelves! To mark this occasion and to make sure people can find a spot to play, stores around the U.S. and Canada are holding Munchkin Collectible Card Game Release Events on the weekend of March 2 (that's March 2, 3, and 4)! Each store might run their event a little differently, but we've encouraged stores to run the events either as drafts or as casual play. We've also encouraged the stores to pick up some of our alt-art prize cards to give out. To find out the specific time and day of your local event, call your store. 3020 W New Haven Ave.
RIW Hobbies & Games Inc.